Gwen Ifill said she doesn’t understand the depth of anti-Hillary conservative rage regarding Benghazi. To her, evidently, Hillary’s involvement was that of a dispassionate bystander. I turned over to PBS tonight during the Republican Convention to get a flavor of their reporting. Ms. Ifill and her panel were clueless on the significance of Benghazi. To them, our ambassador’s plea for more security wasn’t a big deal. Our government’s decision not to send in troops to protect our guy’s from getting butchered was no big deal. To them, Hillary’s decision to blame an American film maker, knowing it was a lie, was no big deal. I forgot how biased PBS can be. A patriot can’t help but to be revolted considering Hillary Clinton’s handling of Benghazi. 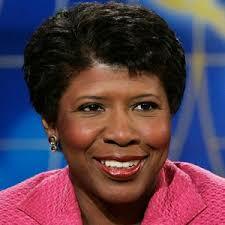 Gwen Ifill and her PBS team view Benghazi as a non-issue. I’ve been questioning the use of public money for PBS for years. and be given taxpayer money. They need to be defunded. I haven’t been watching tonight, and I try to avoid PBS on this type of coverage. That’s the way she has always been. It doesn’t matter who gets hurt, so long as her agenda comes first. You don’t Ever put Americans in that precarious a situation lacking adequate security and you sure as H_____ (heaven!!!) don’t EVER abandon them without sending whoever/whatever you can to save them while they are under fire! We have had PBS on for 45 minutes and have not yet seen any of the convention, just the PBS folks trashing Trump and Republicans in general.